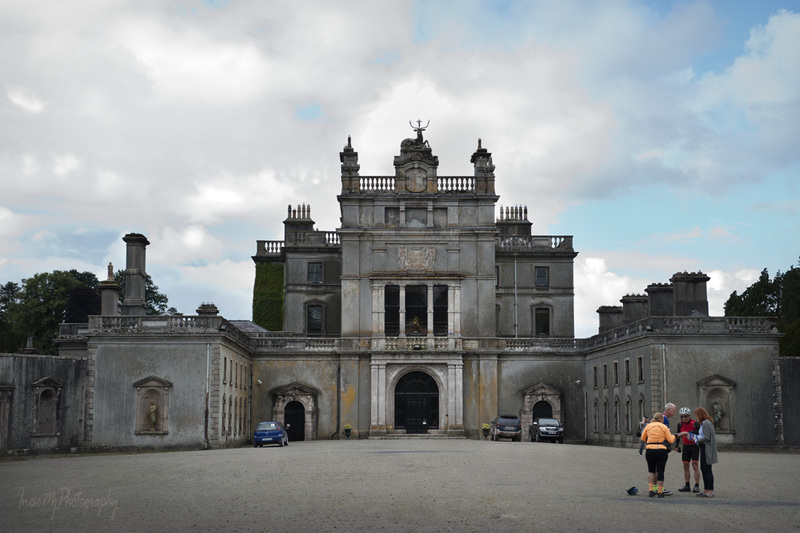 After having seen Mother Brown we are going to walk straight to the place she is looking at – the Curraghmore House. 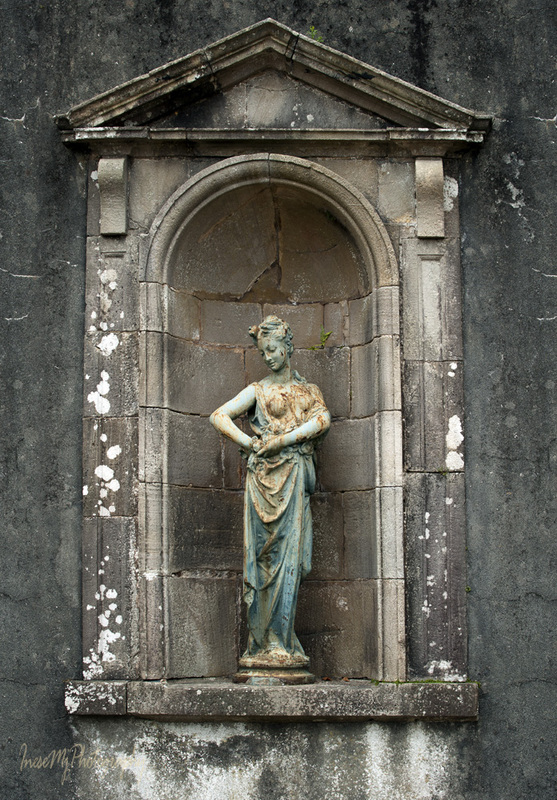 This July I visited Curraghmore House hoping to see a portrait of Lady Florence. Unfortunately they don’t have her portraits in the house. Otherwise, it was an amazing visit. If you go to Ireland, make sure you contact the tour guides and book yourself a €15 tour of the main reception rooms, Shell House and the garden. I promise you, it will be the highlight of your visit. I do my best to remember everything that our guide is telling. Photography is not allowed in the House, and for the same reason I can not give you a detailed account on what I have seen, but I still can share some stories. Like the story of the Stag and the Dragon. 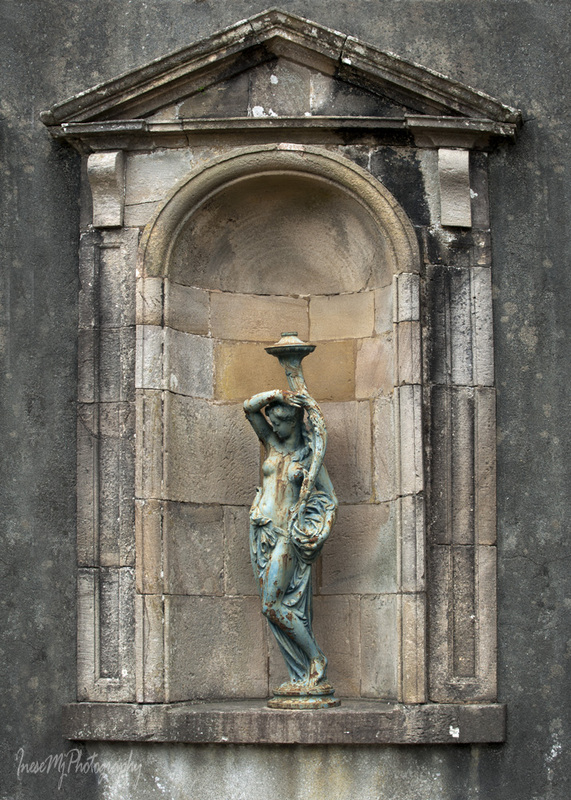 Curraghmore House was built by the la Poer family after their arrival in Ireland with the Norman invasion in the 12th century. 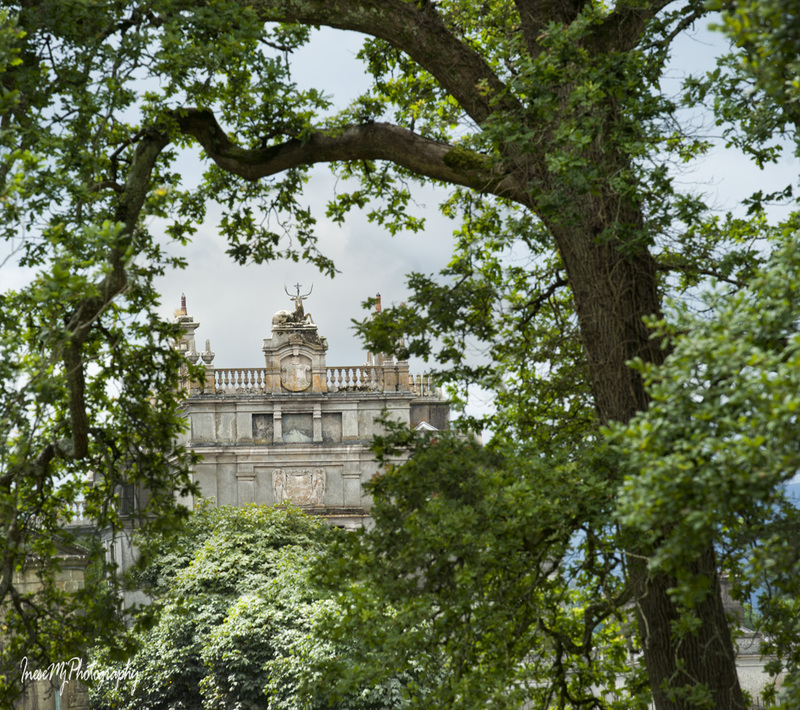 It was a tower house with thick walls, and its facade was adorned with the family crest they brought from Normandy – a sculpture of a St Hubert Stag with genuine antlers, and the crucifix. 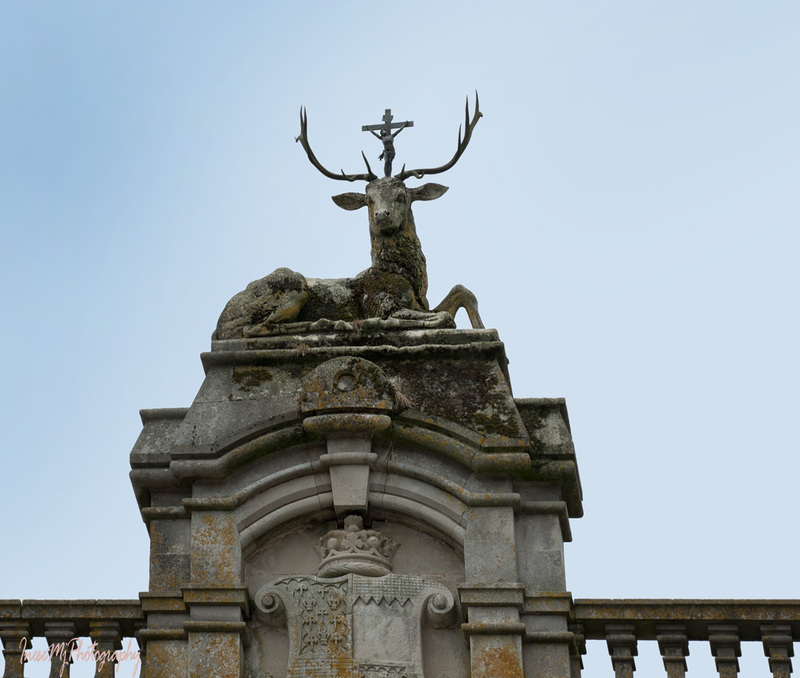 Later a new house was built around the original tower, and a new stag sculpture carved by Sir Richard Boehm. In 1701 a girl was born, Catherine, the only child of James Power, 3rd Earl of Tyrone and his wife Anne Rickard. The Earl soon died and left her all the family lands. The Earldom discontinued and her father’s cousin was supposed to move in the house and inherit the Barony, but it came out that he was a Jacobite, and Catherine and her mother were allowed to stay for a while to deal with them later. They stayed in the house until Catherine was fifteen and then the marriage was arranged with her cousin Sir Marcus Beresford, a Protestant, Freemason and politician. He became the man of the house. They got married exactly 300 years ago, on July 16 1717. Lady Catherine gave birth to 15 children 9 of whom reached adulthood. Their firstborn, George, was made the first Marques of Waterford. 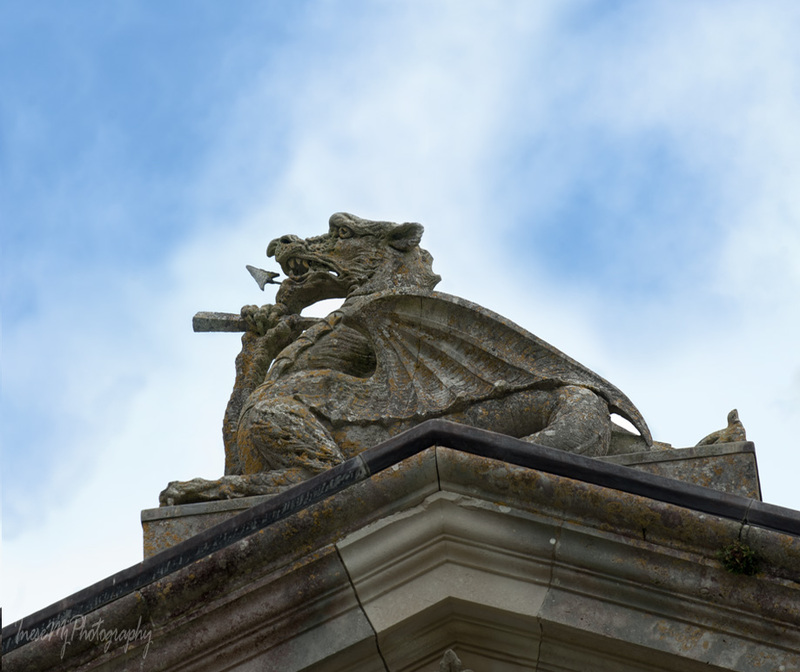 Sir Marcus wanted a bigger house and Catherine knew that he would eventually remove the la Poer family crest and replace it with the Beresford family crest, a Dragon head pierced through the neck with a broken spear. She convinced her husband to rebuild the house so that the front faced Comeragh Mountains, and it was where the Dragon was placed. Until these days, the guests arrive to the front of the house, which is in the back, and both the Dragon and the Stag are still here, standing back to back. But it is not the whole story. In 1922, during the Civil War, the order was given for this house to be burned. Some men came in the middle of the night, put the straw and left to return before the sunrise and finish the job. When they came back with the torches, the clouds suddenly parted, a full moon came out and the crucifix had cast a shadow on the ground. The men were terrified that they almost burned a Catholic house. They hurried away, and burned the Woodstock House shortly after. View of the Comeragh Mountains from the front porch. 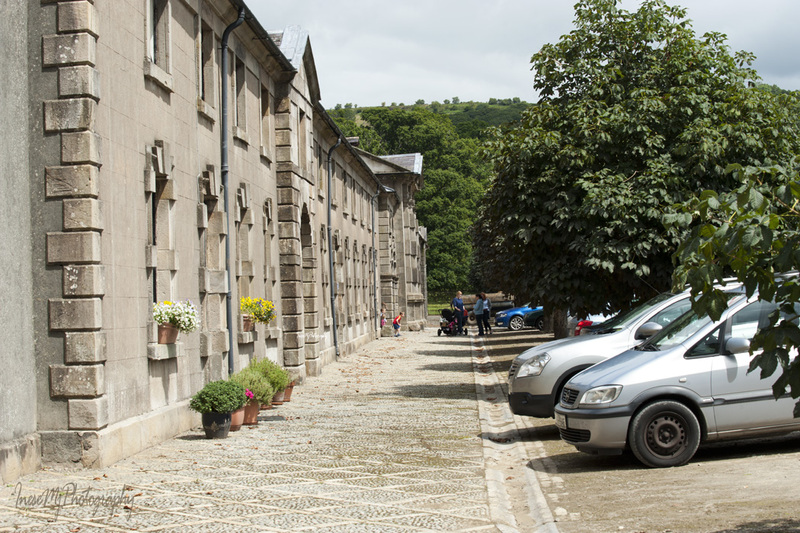 In these apartments there used to be a doctor’s surgery and a teacher’s quarters. Retired butler still lives here. 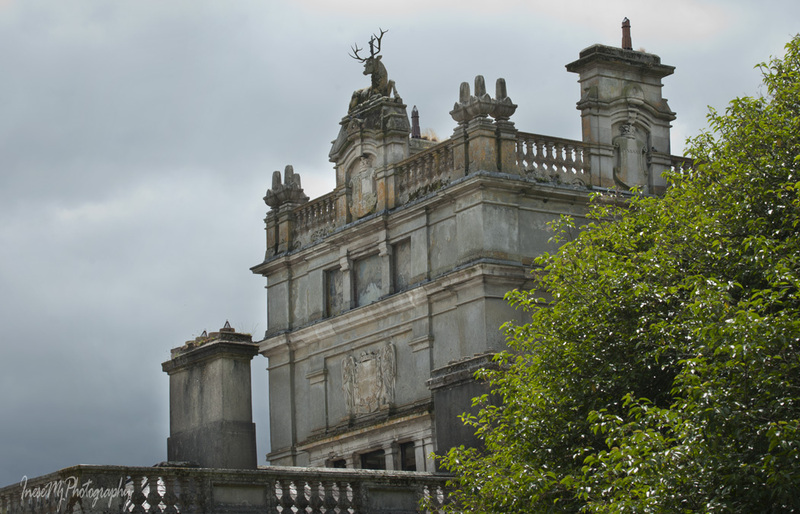 Next weekend we resume our walk around the Curraghmore House. Thank you so much, Millie! All this area is rich in history and beautiful like a picture. 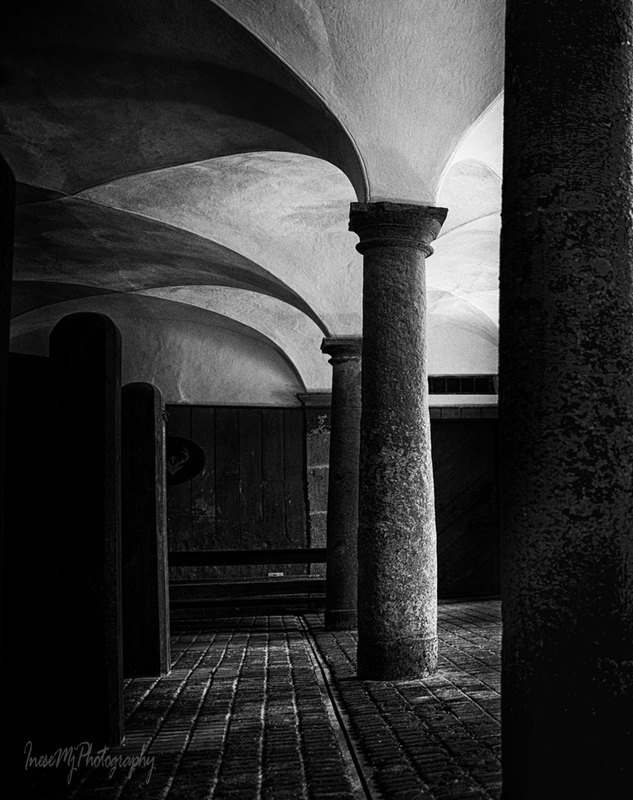 I loved the black and white of the columns – very nice. The stag is amazing. Really a stunning topper. Thanks for taking us with you. What a story! Another place I must visit! I need a new stream of income. Start a special piggy bank. You can come off season. I think it is possible to arrange a visit to the House by a special appointment. I’m going to need a big piggy bank to visit all the places I have in mind. What a fantastic place and fabulous images, Inese. Good job about the cross and the fact that it saved the house. I would have been a terrible shame and many places were not so lucky. Thanks for sharing it, Inese. 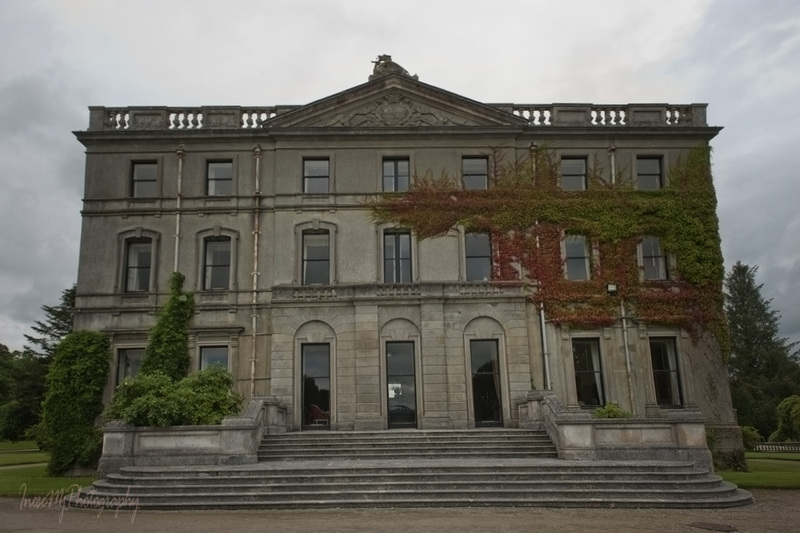 I was transcended to Curraghmore House, its well preserved quarters and stables, down the memory lane to the story of the stag and the dragon, and the rioters turning tail and fleeing having witnessed the shadow of the crucifix on the grounds. Thank you for yet another soulful travelogue, I have fastened my seatbelt for the sequel. Thank you! 🙂 These two posts are all I have stashed for a rainy day. Haven’t taken pictures for a while, except of my grandkids, and haven’t edited anything since September. This year is tough. 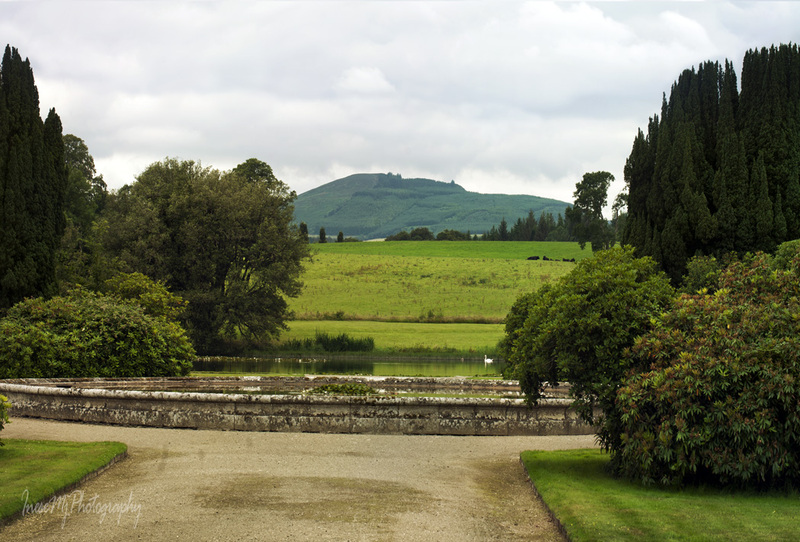 Hope you will like the rest of the story 🙂 If you ever come to Ireland, don’t read any tourist literature but come straight to the Curraghmore house for a guided tour 🙂 It will be a great start. Isn’t it Imelda 🙂 800 years of history are packed with stories. I think it is my 6th blog post related to the House 🙂 Such a source of inspiration and information! Love this history. 15 children born!!! Lady Catherine is definitely the mettle history is made of. The house decorated with stag and the dragon statues reminds me of my favorite movie Game of Thrones 🙂 The house could very well be used for shooting for the show too. It aways disappoints a bit when you can take any pictures inside. Thank you! Oh I was very disappointed. 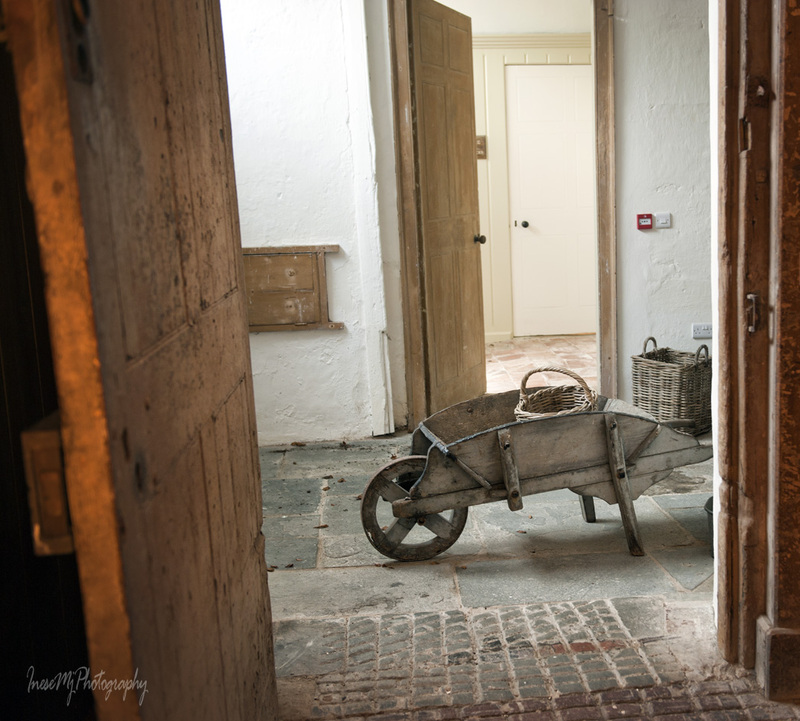 I didn’t think about recording all the tour, but at least about taking pictures of one or two objects… Yet I understand that it is not a museum but a residence, and after we all leave, the owners come down from their quarters and do their things around the house. That sounds great that they let people have freedom sitting on the furniture. It sounds like you visit someone house. That is definitely much better than museum. I didn’t sit, but I like the idea that I could 🙂 There were so many absolutely amazing things that no museum in the world ever had. Thank you for a wonderful tour and an interesting story. Thank you! Hope you will like the rest of the story. Wonderful images. What a wonderful historic area you live near. Thanks for blogging and showing these images. Love reading about the history of this family and the estate. 15 children! And 9 survived – that was quite an accomplishment during those times. The pictures you were allowed to take are wonderful! You do such a wonderful job of sharing your travels, Inese. We are lucky to go along for the ride! Thank you! 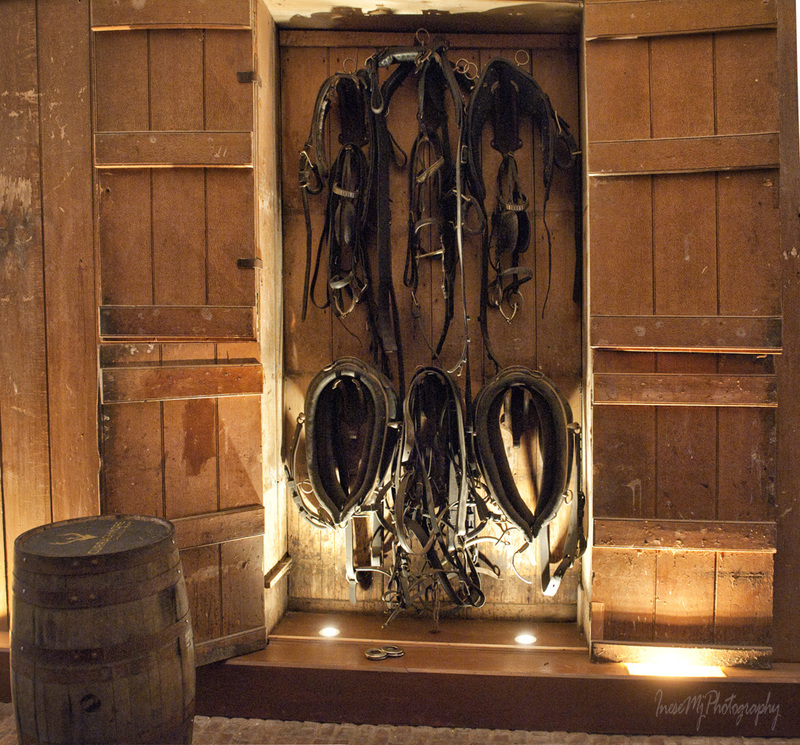 I was thinking about those scratches too – could it be a horse? 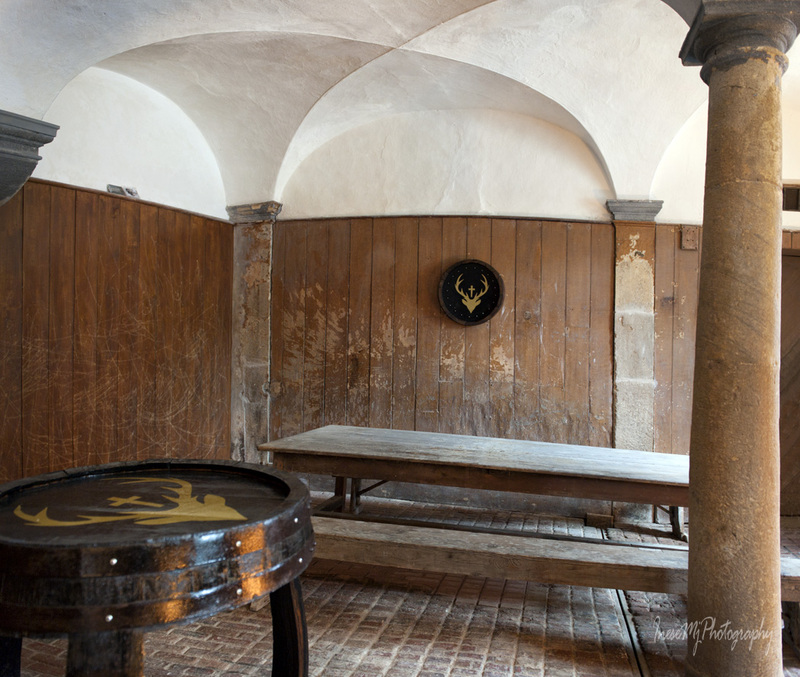 It is difficult to tell how long ago the walls were painted. Thank you Diana! Infamous burning-downs are still practiced when the countries are going through the periods of instability and violence. So many objects of great historical importance have been lost forever in the fire. 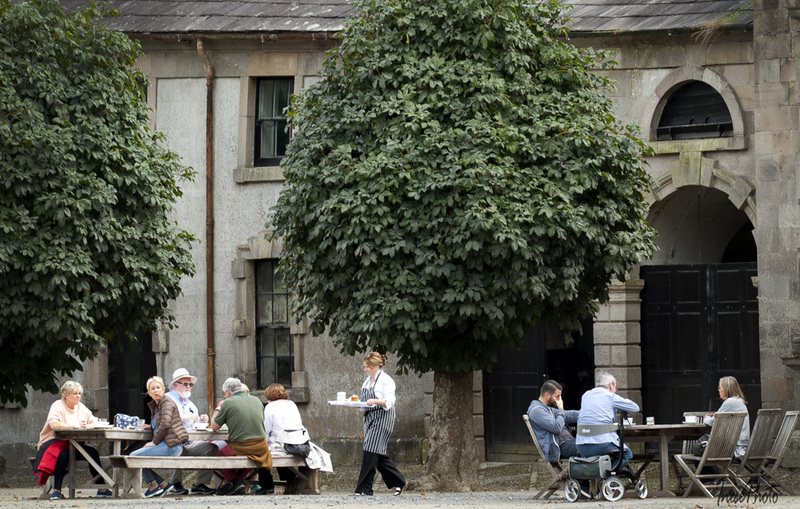 Happy for the Curraghmore House. Now I only hope that the next Lord Waterford will settle there and keep the roof on. I got to the cafe outside and thought of hot chocolate. Inese, this is such an amazing post. I thoroughly enjoyed your telling of the stag and the dragon. The photos as always were purely magical. Hugs on the wing! Thank you so much Teagan! We had a great guide. 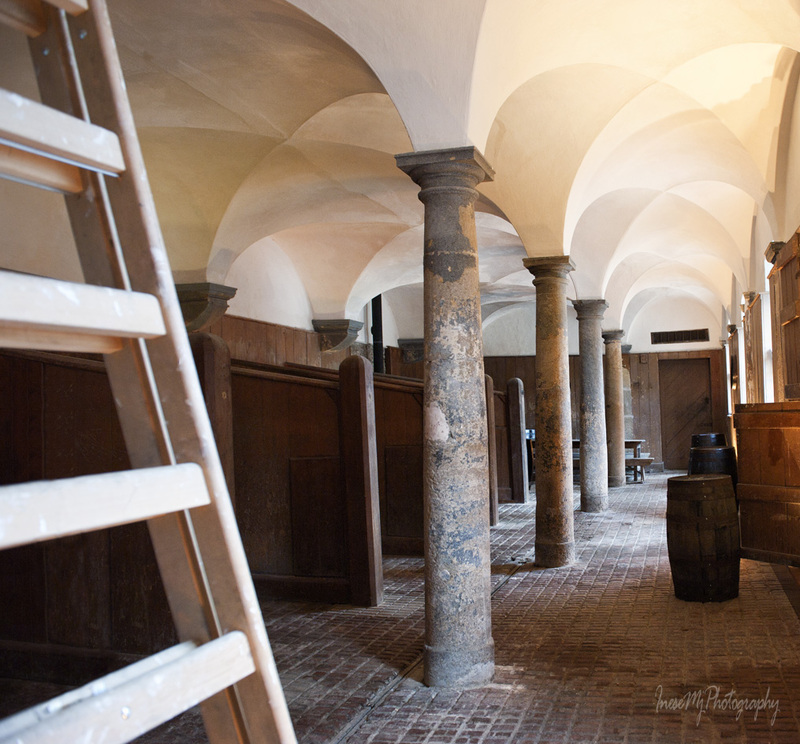 As I came some 15 minutes earlier, she showed me the stables and left me there to take pictures. Many hugs. A fascinating post for a galaxy of reasons. My own father was the youngest of 11; Lady Catherine out scored The Steeden’s I’d say! That’s a big family. There was a very successful architect in Waterford in the 18th century and he had 22 or 24 children with his only wife – 8 survived to adulthood. Thank you so much! I know what you are talking about, and it happens in Europe too. 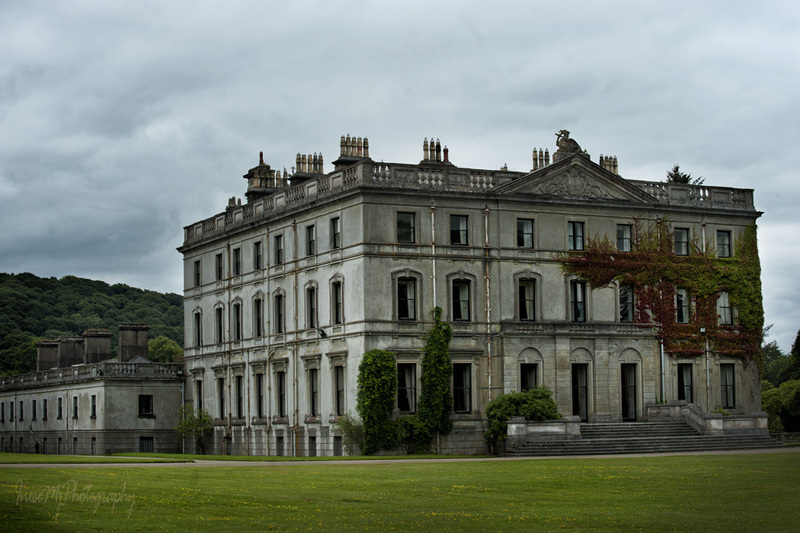 Curraghmore House is a great example of preservation. 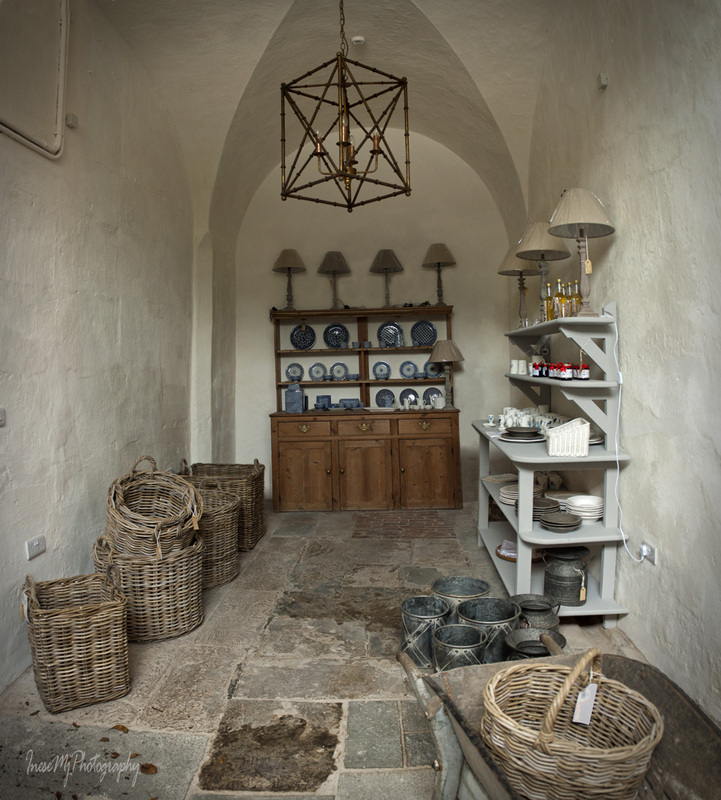 The house has been remodeled many times during the 800 years of its history by adding the new to the old instead of demolishing. Now the House looks unique. you have such amazing post, elegance images, great reflection and adventure of incredible presentation! Thank you so much for your lovely comment Mihran!